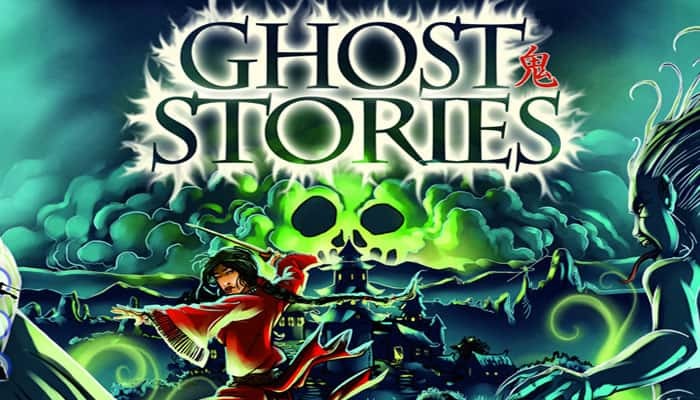 Ghost Stories is a cooperative game in which the players protect the village from incarnations of the lord of hell - Wu-Feng - and his legions of ghosts before they haunt a town and recover the ashes that will allow him to return to life. 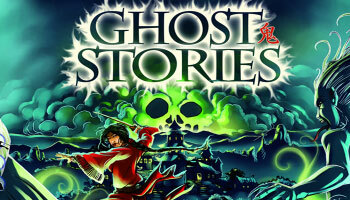 Each Player represents a Taoist monk working together with the others to fight off waves of ghosts. The players, using teamwork, will have to exorcise the ghosts that appear during the course of the game. At the beginning of his turn, a player brings a ghost into play and places it on a free spot, and more than one can come in at the same time. 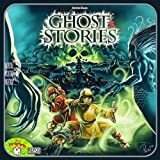 The ghosts all have abilities of their own - some affecting the Taoists and their powers, some causing the active player to roll the curse die for a random effect, and others haunting the villager tiles and blocking that tile's special action. On his turn, a Taoist can move on a tile in order to exorcise adjacent ghosts or to benefit from the villager living on the tile, providing it is not haunted. Each tile of the village allows the players to benefit from a different bonus. With the cemetery, for example, Taoists can bring a dead Taoist back to life, while the herbalist allows to recover spent Tao tokens, etc. It will also be possible to get traps or move ghosts or unhaunt other village tiles. To exorcise a ghost, the Taoist rolls three Tao dice with different colors: red, blue, green, yellow, black, and white. If the result of the roll matches the color(s) of the ghost or incarnation of Wu-Feng, the exorcism succeeds. The white result is a wild color that can be used as any color. For example, to exorcise a green ghost with 3 resistance, you need to roll three green, three white, or a combination of both. If your die rolls fall short, you can also use Tao tokens that match the color in addition to your roll. You may choose to use these after your roll. Taoists gain these tokens by using certain village tiles or by exorcising certain ghosts. One of the Taoists has a power that allows him to receive such a token once per turn. There are many more ways to lose, however. 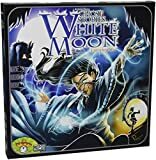 The players lose if three of the village's tiles are haunted, if the draw pile is emptied while the incarnation of Wu-Feng is still in play, or if all the priests are dead. Many fell, putting an end to the reign of terror of Wu-Feng, Lord of the Nine Hells. The funerary urn housing his ashes was buried in the cemetery of a village in the Middle Empire. Years have elapsed, and the cursed legacy has been forgotten by the living. Set up the village tiles and game boards as for 4 players. Game boards that are not assigned to players - called neutral game boards - receive 3 Qi token each. In addition to the Yin-Yang, Taoïst colored Tao token and black Tao token, give each player a Power token. Neutral boards are not assigned any Tao and Ying-Yang tokens. Each game board provides two different powers. For a game, the player will have one of the two powers only, because he will use either the front or the back of his board (selected randomly). The 8 powers are described below: It may happen that a Taoist loses his power because of a ghost ability. He can recover it as soon as the responsible ghost is removed from his board. The Taoistscan only exorcise this incarnation if the ghost place facing him on the opposite board is not occupied by a Ghost.